Here at Home to Indy, we love supporting the locals—local artists, local restaurants, and local shops. If you happen to be new to the area or haven’t done much exploring, you may not have stumbled on some of these gems. 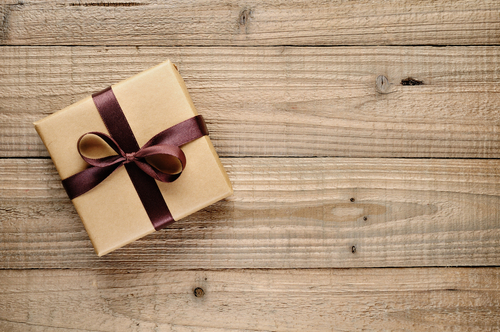 Whether you're looking for a birthday present, something for a baby or bridal shower, or simply a "just because" gift for someone you love, you're sure to find something you love at these local spots. From Zionsville to Carmel, from Indianapolis all the way down to Greenwood, we've got some of the best shopping around! Despite the name, you’ll find much more at Silver in the City than jewelry. They also stock housewares, books, apparel, and an eclectic collection of what they call “Whatnots”—basically anything that tickles the owners’ fancy. They’ve been voted the best gift shop in Indianapolis multiple times—so there’s probably something that will tickle your fancy, too. For everything kids and babies, check out this unique and original boutique. You’ll find clothing, accessories, and gifts perfect for baby showers and little ones’ birthdays.They carry organic and eco-friendly brands like Kate Quinn Organics and Angel Dear, as well as local artists and their own house brand, Elms & Cedars. Want a truly unique gift? Shop the contemporary handmade items at Homespun. They have gifts of all sorts from more than 300 artists across the US and Canada, so there’s definitely something for everyone. You’ll find housewares, bath and beauty products, jewelry, stationary, and much more. This clothing and accessories boutique in trendy Broad Ripple Village prides themselves on affordable chic and a wide range of clothing from independent designers. They update their inventory regularly, so there’s always something new to see. There’s almost certainly a Delaney’s near you—they have locations in Geist, Fishers, Carmel, the Fashion Mall, and a new one in Zionsville. They specialize in vintage and shabby chic home decor, clothing, and accessories. It’s the perfect place to shop for the friend who always wants to be unique and different. What are some of your favorite local shoppes? Comment below - we'd love to know!